Sensex touched a high of 36,623.65 points and a low of 36,491.83 points during the intra-day trade. 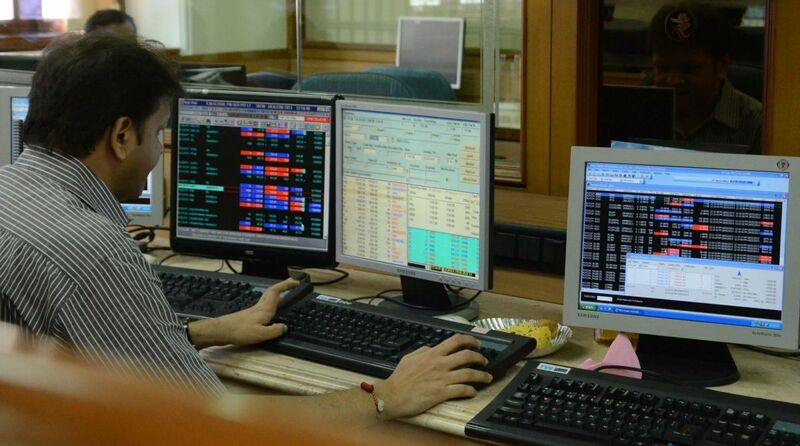 Lower Goods and Services Tax rates on more consumer products, along with broadly positive global cues, pushed the key Indian equity indices higher during the morning trade session on Monday. Around 9.45 am, the broader Nifty50 of the National Stock Exchange (NSE) traded at 11,044.20 points — up 34 points or 0.31 per cent — from its previous close. Meanwhile, the rupee surged by 19 paise to 68.65 against the US currency in early trade at the Interbank Foreign Exchange on Monday as the dollar weakened globally, amid foreign fund inflows. On Friday, the rupee staged an impressive rebound from life-time low levels, surging 21 paise to end at 68.84 against the dollar on suspected the central bank’s intervention to check volatility in currency markets.